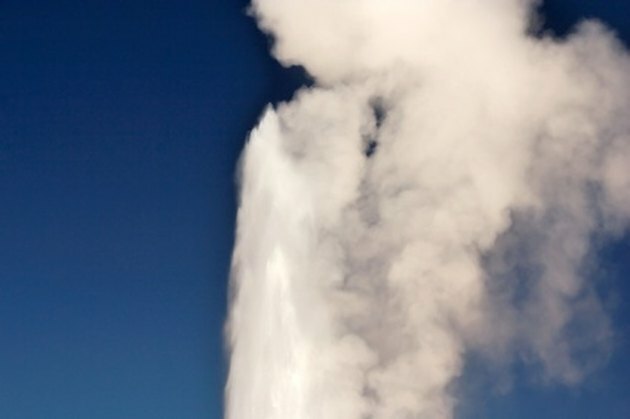 Steam cleaners heat water then release the resulting steam from a nozzle that funnels the force. The pressure of the steam forces dirt from floors, countertops, mirrors and other hard surfaces. They are environmentally friendly because they use no harsh chemicals, yet still effectively kill mold and bacteria. Although they are relatively simple machines, steam cleaners can suddenly stop working, and may need some easy repairs. Harnessing the power of steam to clean your house. Kimberley Elliot is a graduate of the University of California, Los Angeles who has been writing professionally for over 20 years. She's been published in newspapers across the country including both "The New York Times" and the "Los Angeles Times," as well as major magazines. She's a two-time Emmy nominee as well.